In today's busy world, sometimes you just can't do it all. 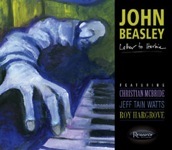 Apparently, John Beasley never received that memo. The pianist, composer, arranger, producer, music director, and film and TV composer is in high demand, and has an enormity of projects that would seem to belie the twenty-four hour day reality. It is perhaps the variance in scope and style of these collaborations that heighten the bar and, frankly, boggle the mind. 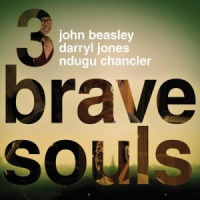 The Louisiana born Beasley has a non-stop schedule (outlined in the following interview) that impressively involves a multitude of musical genres and an array of sophisticatedly talented artists. 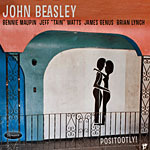 Taking on many facets came naturally to Beasley as he learned to play the drums (starting on pots, pans, and luggage), trumpet, oboe, piano, and saxophone in his youth. 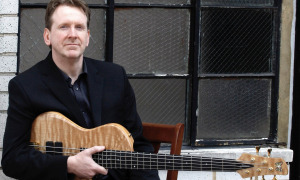 At age twenty he had his first big professional gig at Carnegie Hall with Hubert Laws, John Patitucci, and Joey Heredia. 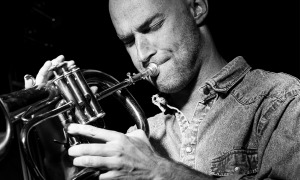 The education broadened in his twenties as a side-man for several years with Freddie Hubbard and later with Miles Davis. He was a sponge, soaking in all the notes and instructive elements those experiences had to offer. Over the ensuing years he has refined his craft and reached the ultimate successes referenced at the outset. 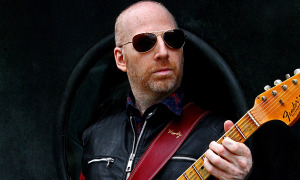 Along the way playing with a cross section of musicians including Lee Ritenour, James Brown, Steely Dan, Bobby Hutcherson, Dianne Reeves, Wallace Roney, Ron Carter, Chaka Khan, Mike Stern, Kenny Garrett, and Sergio Mendes. 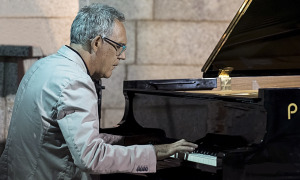 In 2012, he was chosen as the musical director for the inaugural International Jazz Day in Paris, which was hosted by Herbie Hancock. Beasley has been the director each ensuing year and is gearing up for this year's event on April 30th, 2019, in Melbourne, Australia. 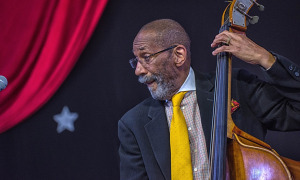 He talks about that, his MONK'estra Big Band, his musical family, his new radio show, his renowned workshops and clinics, and much more in this recent conversation with All About Jazz. 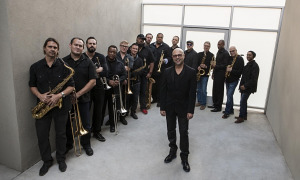 All About Jazz: Top of mind is your MONK'estra Big Band. What drew your attention to the music of Thelonious Monk? How did you go about reinventing his music? Did the project meet or even surpass your expectations? 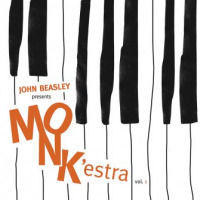 John Beasley: I've been listening to Monk since I was a kid. I was drawn to the music because his writing displays so much audacity, surprises, grooves, and it swings so hard. After all these years, I am still drawn to his sense of boldness and freedom. So, I took my years of writing, arranging, and playing jazz, Brazilian, Cuban, hip-hop, classical, pop, and film music, and then wrote new arrangements for big band. I was surprised how organically my arrangements can be played and interpreted by the musicians after I wrote the charts. We recorded two albums and called the band and albums MONK'estra, Volume 1 and Volume 2. 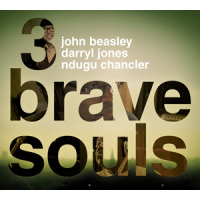 These recordings earned four Grammy nominations and the band has played over thirty-five concerts around the globe. AAJ: I hear a freshness of interpretations in the music that represents today's culture and sound, along with charts being punched in the mouth. Were the arrangements adroitly implemented as you proceeded with the project, or did you pretty much already have it all in your head going in? JB: I wrote some of the music while walking the streets of New York, Amsterdam, Tokyo, and wherever I am. When it's playing in my head, I whip out my iPhone and sing in what's on my head, then go home and write it out. AAJ: What do you think the iconic Monk would have to say about these arrangements and the resurgence of his music in general? 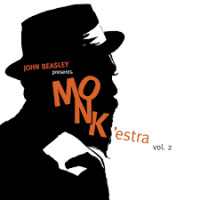 JB: Thelonious Monk's son, T.S., saw MONK'estra a few times. After our Portland concert, he said "You're doing what my dad wanted people to do with his music, play it like you want to hear it." Monk's music will always be with us, because we have finally started to catch up to his genius. Back when he was writing and playing, people weren't open to where he was taking them. He was evolving jazz but its human nature to want what you are familiar with. 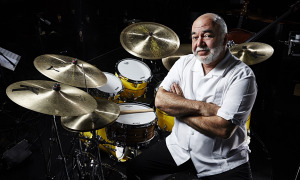 AAJ: I had the pleasure of seeing and hearing you with the Peter Erskine Quartet a few months back at the Catalina Jazz Club in Hollywood. You and Erskine have a chemistry together. Perhaps you could talk about that and how it factors into the music. You all seemed very relaxed, which lent itself to some tasty improvisation. JB: I met Peter at a Stan Kenton band camp when I was fourteen. He was a bit older than me and I was drawn to him. He's one the greatest drummers in the world, not just because of his technique but because of his unique way of improvising. We are like-minded that way. We love to listen, and play off each other. We have so much fun on stage that half the time we are smiling and laughing at our improvised musical conversation. The past three years we have gotten together and made three albums, Dr. Um, Second Opinion, and On Call. All Peter's titles, so you see his cheeky humor.